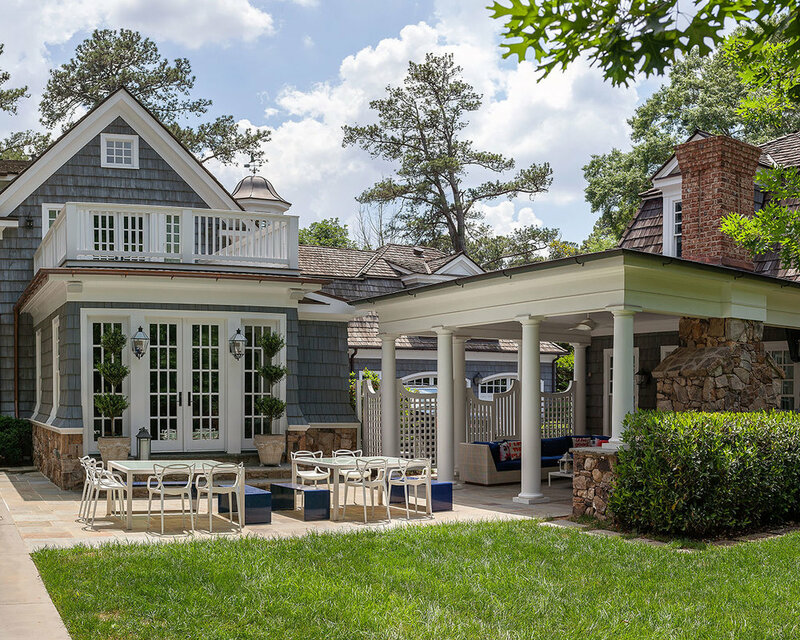 Although located in Georgia, this home takes its inspiration from coastal New England Shake-style homes of the early 20th century. 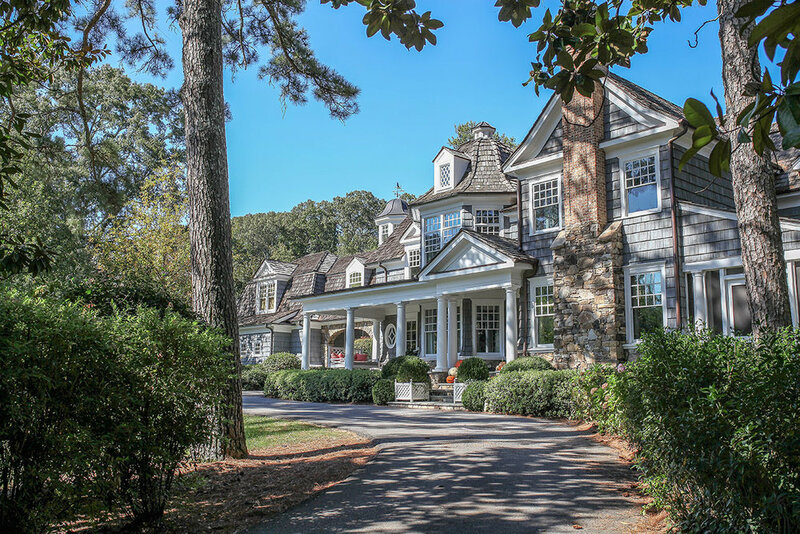 Its asymmetrical massing, porches, and tower element all reflect the resort architecture of an earlier time. 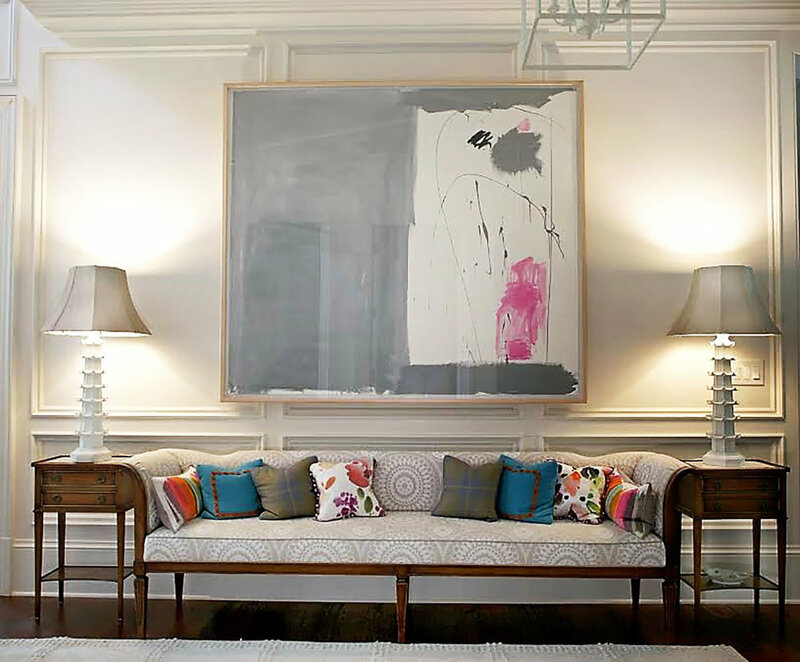 Other elements of style include the wide double-sash windows with panes of glass on the top sash, and a single pane on the bottom, or a diamond-pane pattern in an accent window. A porte cochere and cupola combination creating a stunning craft room above the driveway. The master bath enjoys a barrel vaulted ceiling - giving this room a dramatic sophistication worthy of a magazine cover. See these features and so many more in our project gallery.